The US Alien Tort Statute is pried back open for foreign victims of corporate human rights abuses to find justice. A class action suit brought by a group of trafficked children from Mali to the US 9th Circuit Court may have an impact on how corporations develop their business models in the future. In John Doe et al v. Nestle et al, child plaintiffs argued that Nestle, ADM, and Cargill aided and abetted enslavement (and numerous violations of international and US law) in the companies’ cocoa supply chains. The former child slave laborers were allegedly trafficked by cocoa growers into Cote D’Ivoire and forced to work in fields that supplied cocoa beans to the defendants in the case. The court held that they could bring the action under the US Alien Tort Statute. Since 1980, courts have interpreted this statute to allow foreign citizens to seek remedies in US courts for human rights violations for conduct committed outside US borders. For too long now, many industries have profited from inhuman working conditions, seeing labor as yet another line item that can be manipulated in terms of cost. Driving working conditions and wages to the lowest common denominator keeps the costs of commodities as low as possible. It is well known that enslavement conditions and child labor are often too common in the production of palm oil, tomatoes, strawberries, and cocoa, as well as in the mining sector. Though Nestle made strong commitments to reduce child labor in their cocoa supply chains in 2012, multi-national companies and traders have reaped billions in profits from keeping labor costs low. Meanwhile, children such as the plaintiffs in the John Doe case, toil in the fields to harvest the key ingredient in our favorite chocolate bars. The John Doe can is significant because it exploits the narrow opening that the Supreme Court left open for Alien Tort Statute plaintiffs following their ruling in the Kiobel v. Royal Dutch Petroleum Co. case in 2013. In this case, the Supreme Court effectively closed the door to most foreign nationals suing foreign corporations in US federal courts. The plaintiffs in Kiobel were Nigerian citizens who claimed that Dutch, British, and Nigerian oil-exploration corporations aided and abetted the Nigerian government during the 1990s in committing violations of customary international law when they brutally crushed peaceful resistance to aggressive oil development in the Ogoni Niger River Delta. The human rights community was upset over the Kiobel ruling, as the Alien Tort Statute had served as a rare avenue for foreign victims of corporate human rights abuses to find justice. Justice Roberts’ majority opinion in Kiobel held that the accused corporations’ connection to the US was simply too tenuous to support jurisdiction. The Robert’s opinion requires that to face trial here, the corporation must be doing more than mere business in the US – rather, some activity connected to the underlying claim must “touch and concern” the US “with sufficient force to displace the presumption against extraterritorial application.” (1673) It is this language that the 9th Circuit picked up on in its recent John Doe decision. Further litigation will determine just how strong the US “connection” must be for the accused corporation to stand trial here. But what may be even more groundbreaking is the ruling by John Doe around what constitutes “aiding and abetting.” Just knowing about the abuses, coupled with the close business connection the farms shared with the defendants and their push to drive up profits regardless of the human toll, may be enough to infer that the corporations “purposefully” assisted other actors to engage in slavery. If in fact the defendants are found culpable, this could have a real impact on how wages and working conditions factor into companies’ business models. Food companies have long placed burden on the suppliers in agriculture supply chains. They typically dictate the terms for which they will purchase commodities, including price and quality. As a result, farmers and cooperatives take on nearly all of the risk in terms of climate impacts, labor issues, and changes to the quality of a commodity for whatever reason. The UN Guiding Principles on Business and Human Rights require companies to take account of human rights impacts in their supply chain. The John Doe decision suggests that companies can face legal threats from neglecting that responsibility. Oxfam’s Behind the Brands campaign has sought to make acts of omission in a supply chain a priority for companies by ranking their policies on themes involving women, workers, smallholder farmers, climate change, land and water. By highlighting good and bad practices in food company supply chains, Oxfam has sought to encourage companies to shift their business models to include such “costs” in order to build a more equitable food system. A costly court judgment might be another nudge they need. Irit Tamir is the Director of Oxfam America's Private Sector Department. In her role, she is focused on working with companies to ensure that their business practices result in positive social and environmental impacts for vulnerable communities throughout the world. 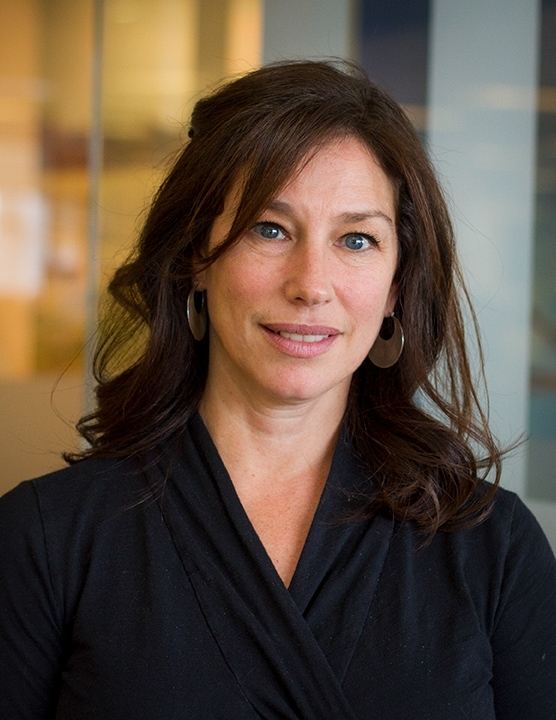 Irit leads Oxfam America’s work on business and development including shareholder engagement, value chain assessments, and collaborative advocacy initiatives, such as the successful “Behind the Brands” campaign. Are cocoa companies offering a trick or a treat?